In recent years, the issue of free speech on university campuses has become increasingly contentious. U of T became part of the national conversation on free speech when Professor Jordan Peterson made headlines in 2016, and since then, numerous other conflicts have unfolded on campuses across the country. For example, consider white nationalist Faith Goldy’s failed speaking event at Wilfrid Laurier University last year, which was supposed to be hosted by the Laurier Society for Open Inquiry. Or last week’s case of the University of British Columbia’s Free Speech Club invitation to anti-immigrant speakers Stefan Molyneux and Lauren Southern to speak, which was also cancelled. Technically, free speech refers to the ability to speak freely without facing retribution from the state. But at universities, free speech groups misapply the concept as a test of campus tolerance for hateful views from controversial speakers they choose to invite, often under the guise of diversity of thought. However, when students or institutions refuse to tolerate their speech, it is not an action of the government — and therefore not a free speech issue. Students oppose the presence of such figures on campus because their words reflect hatred toward marginalized communities. For example, Southern and Goldy have espoused the white genocide conspiracy theory, which argues that phenomena like mass immigration and racial integration are meant to lead to the extinction of white people, and Molyneux subscribes to “scientific racism” in the form of attributing differences in intelligence to race. As white nationalist violence rises, the consequences of giving platforms to such speakers have become all too evident: speech leads to action. But in each case, the organizers take the protests against their events as vindication that free speech is under attack and that they are being silenced and censored. They neither realize nor acknowledge that their rhetoric may cross into hate speech. This dynamic has played out on campuses for years. But now, the groups that invite these figures to campus have the ear of Ontario’s premier, to the detriment of the rest of us students. A recent report by The Varsity shows just how central the issue is to the Progressive Conservative provincial government’s decisions. Last August, Premier Doug Ford and Minister of Training, Colleges and Universities Merrilee Fullerton attended a free speech roundtable with the University of Ottawa Students for Free Speech (uOSFS), the University of Toronto Students in Support of Free Speech, and Students for Free Speech York University. The next day, the Ford government threatened that universities would have to implement free speech policies or face funding cuts. The far more consequential outcome of the roundtable wasn’t announced until months later in January. The Student Choice Initiative (SCI), which will allow students to opt out of some non-tuition fees deemed ‘inessential,’ was apparently suggested by the uOSFS at the August roundtable. Instead of consulting student unions, who are elected to represent thousands of other students, Ford chose to selectively consult a small group of fringe students on policies that determine the future and survival of all other groups on campus. Michael Bueckert, a graduate student at Carleton University, claimed that Ford only consulted alt-right students in an article he posted on Medium. Bueckert points out that uOSFS Vice President Finance Michele Di Franco appeared on a show hosted by alt-right leader Gavin McInnes. McInnes is the founder of the Proud Boys, a militant, neo-fascist organization. While Di Franco may not hold the same views as McInnes, his appearance on the show is troubling. In an act of extreme irony, Di Franco is now suing Bueckert for what he claims are defamatory statements in the Medium post, as well as in a series of tweets made by Bueckert. Di Franco is asking for $150,000 in damages and a permanent injunction preventing Bueckert from disseminating defamatory material about him. If free speech groups choose to associate themselves with controversial figures, they should be open to criticism. Legal action not only curtails Bueckert’s free expression, but instils fear that forces others into silence. The University of Toronto Campus Conservatives President Matthew Campbell has said that an opt-out option has been a talking point for young conservatives for the last five to eight years. Louis Vart, who spoke with me on behalf of the group, says that students are best at managing their money, not the university. Vart went further by adding that the policy will give transparency to student groups, which he feels they are lacking in at UTSG, mentioning the referendum to defund the Ontario Interest Research Group (OPIRG), a left-leaning research group, last year. A campus conservative group at Carleton has also pointed to defunding OPIRG as a reason to support the SCI. The apparent intention of the policy, to defund left-leaning campus groups and student unions, was made abundantly clear when Doug Ford referred to the “crazy marxist nonsense” students “get up to” in an email meant to solicit donations. As Bueckert writes, “it is evident that the real motivation for this policy is not to save students money, but to crush the conservatives’ political opponents.” But whether or not the conservatives like it, students have already decided that they value these organizations, as attempts to defund OPIRGs at multiple campuses in Ontario have failed. While the policy is ostensibly about freedom and choice, in reality, students are left with fewer options than before. The actions of a few corrupt student leaders should not be reason to tear down the structure of student democracy entirely. Student unions give students a seat at the table, both within the university administration and at various levels of government. Similar to labour unions, everyone reaps the benefits of the advocacy that student unions do, so it only makes sense that everyone should pay into them. Students should not be fooled. This policy is not an effort to expand our choice but an attempt to weaken our power. Without strong student unions, our ability to organize and voice our concerns to the Ontario government is completely undercut. When we understand free speech as having a voice without retribution from the state, then it is ironically the government’s opt-out initiative that undermines free speech. While the targets of the policy may be left-leaning groups and unions, the effects spill over to all student groups, eroding established campus life and community comprised of clubs, intramurals, and services such as food banks and crisis centres. Moreover, free speech is further put in jeopardy as student media in Ontario now face an existential threat. The future of campus publications like The Varsity, which give students a voice and promotes important dialogue and debate, remains uncertain under the policy. An independent student press is necessary to ensure the accountability and transparency of other groups. While Ford has touted the Ryerson Student Union’s recent corruption scandal as evidence that students should be able to opt out of incidental fees, we shouldn’t forget that the story was broken by The Eyeopener, Ryerson University’s student paper, which also relies on a levy to exist. Similarly, the uOSFS has pointed to allegations of fraud on the part of the Student Federation of the University of Ottawa (SFUO) executives as a motivation for their support of the SCI, but, again, the original reporting that exposed the fraudulent practices came from student papers, The Fulcrum and La Rotonde. Levies from all students are what give campus newspapers the freedom and ability to do this important reporting. Not only do they hold campus groups to account, they also keep the universities they are affiliated with in check. Universities which can, in the case of U of T, have billion dollar endowments and receive millions in taxpayer dollars. Defunding student groups in the name of free speech is clearly oxymoronic — but the premier is hardly the first person to try and change the political leanings of university campuses under the guise of free speech. For years, conservative groups have used the promotion of free speech as a guise to push their political agendas on university campuses. Each year, the Calgary-based Justice Centre for Constitutional Freedoms (JCCF) releases a Campus Freedom Index, where it issues letter grades to Canadian universities based on the policies and actions of their administrations and student unions. In 2018, it gave U of T a “B” on its policies and a “D” on its practices, citing mandatory anti-discrimination training for Human Resources & Equity staff following a list of supposed infractions. If you look into the JCCF, you will find that the group is not purely concerned with free speech. Its chief concern is promoting socially conservative causes, including opposition to abortion. If there is an ideological war to claim university campuses, conservatives have clearly lost. Now, they pour dark money into causes to change that. The truth is, conservative views, provided they are not hateful or inciting violence, are not silenced — they are simply unpopular on campus. For example, despite the fact that The Varsity has regular conservative contributions, conservative writers have asked for anonymity at The Varsity because they fear backlash against their views. John Carpay, the President of the JCCF, is a member of the United Conservative Party, and in a recent legal filing, the group called high school gay-straight alliances “ideological sexual clubs.” Yet the lobby group postures as non-partisan, promoting its Campus Freedom Index in mainstream papers like National Post, all while claiming that free speech is currently under attack on university campuses. Who is really under attack? Facing these powerful outside forces attempting to change our campuses, what we need is a strong coalition of students advocating against the SCI across the province. If groups genuinely care about free speech, they will take a stance against this policy. The true attack on free speech is not coming from protest or backlash to controversial speakers, but rather from the provincial government attempting to silence political dissent by undermining student democracy. We as students should be less preoccupied with inviting Rebel Media personalities to campus, and more worried about our ability to express ourselves, organize, and hold other groups accountable through the free press — all of which is actually under attack. The journey through university is supposedly defined by self-discovery — the process of becoming the person you were always meant to be. For some, this might seem comforting. But for me, a Black Canadian, I find it daunting. The conversation of what it means to be a Black Canadian is a confusing road. For one, it is very different from that of African-Americans, whose experiences are separate from our own. African-Americans have a unified racial identity — one that is deeply rooted in an ancestral experience of slavery and post-emancipation oppression. African-Americans are attached to the US — nothing more and nothing less. The constant need to remind their fellow Americans that their country is theirs is the fire that fuels their revolution. In Canada, the Black population is not defined by a common ancestral link, but rather by its diverse immigrant background. I have yet to meet a Black Canadian who refers to themselves as “Canadian” before they refer to themselves as either Nigerian, Jamaican, Brazilian, and so on. The commitment to multiculturalism and diversity, especially in Toronto, inhibits the identification of a singular, unified Black Canadian racial identity. If we are Somali or West Indian first, it is difficult to arrive at a conversation about common Black Canadian struggles, namely anti-Black racism, that affect all of us regardless of our ethnic or national background. The lack of Black representation on campus is problematic. It reduces Black students’ comfort of inclusion and their capacity to organize on campus, which, in turn, allows anti-Blackness to fester and become institutionalized. We saw this when a Massey College professor and a Dalla Lana School of Public Health lecturer both made racist remarks last academic year in two separate cases of anti-Black racism. This is the kind of behaviour from figures of authority that makes Black students feel unwelcome. It’s also the kind of environment that pushed the Black Liberation Collective (BLC) to demand the collection of race-based data for students that would allow students to identify as Black. In turn, U of T, along with various other Canadian universities, pledged in October 2017 to provide a demographic report on its students. Such a report has yet to be provided. This prolonged silence shows that the university does not intend to take the drive for Black liberation seriously. U of T likely believes that the situation is not as bad in multicultural Canada as it is south of the border. We saw this dismissive attitude in an anti-Black incident last year, when engineering students used racial slurs and distributed pictures depicting blackface in a group chat. In response, the Black Students’ Association (BSA), BLC, and the National Society of Black Engineers (NSBE) hosted a town hall and made demands to the administration, such as funding for an anti-Black racism campaign on campus, which have yet to be realized. In fact, at the time of the incident, they were told that it would take over a year for the demands to be put into action. This echoes the current wait for the demographic report. The important steps that need to be taken in order to further heal the wounds of anti-Blackness are put on the proverbial back burner. This leaves many like me frustrated, lost, and waiting for change. But Black students continue to organize. Groups like the BSA, the NSBE, the Black Public Health Students’ Collective provide a microphone for weary Black voices across campuses and create spaces for Black individuals to express ourselves. The BSA town hall, for example, was an instance of organized activism that received widespread campus attention. The idea came about when Sunny was having a conversation with a Black female friend and they realized how many of their experiences were connected yet they were disheartened by the lack of organized spaces to continuously express these experiences. So A Dialogue for Black Women was born, and now, the group has meetings moderated by and between Black women. The space has just recently grown into a non-profit organization of a similar name, With Black Women, which is meant to provide a more inclusive environment that bridges the lack of communication between Black and non-Black individuals, while still centring around Black women. “We’ll be inviting other women of colour, white women, into the conversation but that are participants, they are allies,” Sunny explained. Such student-led forums are not the only ones of their kind on campus. The BSA is planning for its 20th annual high school conference this year. This is an event where they invite high school students to UTSG to be mentored “by black professionals and current university and college students to help them realize that post-secondary education… is an attainable goal,” according to its website. The high school conference works to promote a larger Black population on the university campus. This is something U of T only recently started to focus on with programs such as the Black Student Application Program for Black medical school applicants. Student-led organizations have existed and continue to exist to lead conversations within the Black community and beyond. They actively work to create the change I have waited for. Given the multicultural narrative, being a Black Canadian does not come naturally or with a clear-cut definition. But being on campus reinforces how small we are and compels us to demand change from our institution. We cannot wait for existing power structures to give us change; it has to start with us forming communities and engaging in conversations ourselves. Black Canadians are already talking. What is crucial is that we support these groups and the voices and platforms they have to enact change. It can be done with basic forms of participation like attending a few meetings or promoting their events. We are making an active effort to unify ourselves. In doing so, we can succeed in finding each other and ourselves. Nadine Waiganjo is a first-year Social Sciences student at University College. In October, the Intergovernmental Panel on Climate Change (IPCC) released its latest report, raising serious concerns about the future habitability of our planet. The release of this report and the subsequent attention it received in the media and among world leaders has galvanized public awareness of anthropogenic climate change, and focused attention on the main culprits — fossil fuel companies. The National Climate Assessment, a report published by 13 US federal agencies, concluded that the increasing severity of hurricanes and other weather events could cost the US hundreds of billions of dollars a year by the end of the century. On top of that, this year’s United Nations climate change conference, COP24, starts this Monday, December 3, with countries coming together to show how they plan to adhere to the 2015 Paris Agreement on climate change. The serious and sudden panic about climate change is warranted. It is not an exaggeration to say that climate change is an existential threat to our species and our planet. U of T students are directly linked to the problem: our tuition is invested in fossil fuel companies. In 2012, UofT350 was established to lobby the university to divest funds from those companies. Thanks to the activism of this group, in cooperation with students and faculty, the Governing Council convened an ad hoc committee to determine whether the university should divest. In 2015, the committee returned a pro-divestment verdict. UofT350 had argued that the university could present itself as a leader among other Canadian universities and in the broader movement to fight climate change. Instead, President Meric Gertler rejected the committee’s recommendation, penning a report titled “Beyond Divestment: Taking Decisive Action on Climate Change.” The actions the university proposed in that report pale in comparison to the contribution that divestment would’ve made. When I participated in rallies for the UofT350 campaign, I was heartened by the dedication of those who showed up, but disappointed that more did not share that commitment. In an institution of over 90,000 students, a rally of a couple hundred makes climate activism on campus seem insignificant. After all, if only a small minority of students show up for a protest, the university might feel justified in not listening. As it turns out, it didn’t matter that the university didn’t listen; the larger student body didn’t even know that UofT350 lost its campaign. In the words of Andrea Budgey, Chaplain of Trinity College and climate activist, U of T is “obliged to a lot of corporate supporters on a lot of fronts and I think that often hampers movement.” The university is a conservative institution. It doesn’t like change. That much is evident from the campaign to get the university to divest from apartheid South Africa decades ago. U of T held onto its investments there until it was the last university in Canada to divest. We as students have to hold the university to account for its almost obscene reluctance to change its ways. Nonetheless, the university did some good when it created a committee to implement the initiatives it set down in its report. Another goal of the committee is to implement curricular changes incentivizing involvement in sustainability groups, and enrolling in certain courses, with tiered roles such as “sustainability citizen,” “sustainability scholar,” and “sustainability leader,” based off of a student’s involvement in environmental initiatives on campus. U of T made concessions to activists by creating initiatives that distracted from its involvement with companies that actively contribute to climate change. While increased funding for climate research seems like a good thing, it fosters complacency about the university’s role in climate activism, and precludes real action. Nonetheless, the programs the university seeks to introduce will likely increase student awareness and engagement with sustainability issues. Speaking to Robinson, it was evident that these projects were very much in their beginning stages. It may take years before the report’s initiatives are fully implemented. In July of this year, the University of Toronto Asset Management Corporation (UTAM) published its first Carbon Footprint Report. It estimates that, as of September 2017, U of T’s investments are responsible for around 570,000 tonnes of carbon dioxide equivalent emissions, mostly in Asian industries. China is responsible for more than a quarter of the world’s emissions, and a large portion of that is through coal. The report suggests that U of T is investing in the world’s worst emitters, a stark contrast to its rhetoric about promoting green technologies. For reference, U of T’s entire downtown campus produced 92,000 tonnes of greenhouse gases in 2015. This discrepancy may be why the administration is so willing to make changes on campus, rather than in its investments. The initiatives laid out in “Beyond Divestment” cost the university very little, and help much less than divestment. UTAM currently manages almost $10 billion, and the money explicitly allotted to sustainable practices by the president’s report totals $3.25 million. Robinson’s committee has good intentions, but the university itself has been undoubtedly more cynical in terms of how it advertised its decision. The Carbon Footprint Report indicates that this isn’t quite true. “It may take many years before conclusions can be drawn” from the initial carbon emissions estimates. If that’s the case, U of T could be far from divestment. In the wake of Gertler’s 2016 report, UofT350 encouraged alumni not to donate to the university, as a protest of the President’s decision. UofT350 then fizzled out, with its last Facebook update in October of the same year. Since then, climate activism on campus has been nearly nonexistent. So far, LeapUofT hasn’t attracted as much student participation as UofT350 did, partly because it isn’t a branch of the multinational climate advocacy group that is 350.org. LeapUofT faces challenges in its lack of exposure and the fact that its lobbying efforts are still in their infancy. Student activists have limited their ambitions considerably since “Beyond Divestment,” focusing on sustainable practices within their own colleges. Some activists on campus think only in terms of stopping things from getting worse. This is an unhelpful approach to climate activism. It is imperative for activists to push institutions towards tangible change, rather than letting them get the better of us. On divestment, Robinson noted, “I think it’s inevitable, ultimately, the whole issue is… time is passing. The consequences are getting closer.” The university’s efforts pursuant to its 2016 initiatives are still largely unknown to the student community, and sustainability groups consequently have low participation. The IPCC report is a golden opportunity for the 66 student groups identified by Robinson’s committee to reach out to students — to become agents of change, effectively represent students, and challenge the university’s reticence on climate change. After all, as Robinson said, “Students often don’t realize how much influence they have on the university.” The opportunity has passed for U of T and its administration to be leaders in the fight against climate change. Now leadership must come from the students. There are inherent problems with advocating for widespread public engagement with climate change. I have the privilege of writing this article and dedicating some of my time to climate activism. Many students do not have that luxury, whether it is because of the nature of their program, personal life, involvement in other groups, or employment. Our university has a responsibility to ensure the welfare of its students. Investing in fossil fuels and polluting our environment is an abdication of that responsibility. William Cuddy is a fifth-year Political Science and History student at Victoria College. Books have a special place in my heart, especially as a student. They are more than just pieces of paper — they are vehicles for knowledge, creativity, and truth. Please come to Russel and Spadina and help us save these books!! I reached out to Aliki Bitsakakis, the student who posted the photo, and she recounted the frantic day when she came across the books. The administrative office informed Bitsakakis that they were “undesirable” leftovers from the University College Book Sale. Told that they had until the end of the day Friday to take the books if they wanted them, Bitsakakis, along with other students, including Marley Greenberg, Robin Medd, Grusha Singh, and Jaylen Stark, “flew into panic mode” to save the books from being discarded. They began sharing the story on social media to find homes for the books, urging students to go to the alley near Russell Street and Spadina Avenue where the books had been transported for recycling collection. Second Life, an organization that collects and donates books, was contacted and picked up about half of them. The students transported the remainder to the lounge in Sidney Smith Hall. Remarkably, Bitsakakis estimates that the group saved about 1,000 books overall from destruction. But she says it “shouldn’t have been something we had to do.” She described the experience, though successful, as upsetting, as reading and learning are integral to students’ lives. It is difficult to imagine why these books were deemed undesirable in the first place. All the books were in good condition and some contained personal notes from past readers. One had a letter from the author, expressing thanks for a positive review. To understand the situation, Bitsakakis and Stark returned to the UC administrative office and were put into contact with Deborah Tam, chair of the UC Book Sale, who confirmed that she had requested the recycling receptacles to dispose of the books. Tam did not respond to my request for comment. Tam’s email reply to Bitsakakis says that every year the book sale faces the issues of excess books and limited storage space. This year, over 250 boxes of books were left over after the sale, and the organizers were given a single day to vacate UC’s Laidlaw Library. The problem with this answer is that there were homes for the books the UC sale discarded. After Bitsakakis and her friends brought them to Sidney Smith, students were ecstatic to get them for free. There’s really no excuse for recycling books in good condition — and the Victoria College and Trinity College book sales both recognize this. Both sales have explicit policies to donate excess books. The day she went to rescue the books, a man came to the alley and looked through the bins, sharing with Bitsakakis that he regularly comes to this spot to get books for his wife. Waste Management Supervisor and Recycling Coordinator Reno Strano confirmed that people do sort through the recycling for books, and he lets them do so, “as long as they don’t create trouble.” If people are looking through the recycling for these books, clearly they still have value and could be donated. The problem, Strano said, is that while Waste Management has to handle “a steady stream of books,” including from libraries, it is “pressed for space and resources.” For these reasons, Strano doesn’t always have the chance to donate books to local organizations. As long as the books are sent to recycling centres and not landfills, disposing of them actually counts as waste diversion under U of T’s definition. Some of the books sent to the waste management department are placed in the university’s Swap Shop, where students and faculty can purchase discounted books and furniture. All proceeds go to the United Way. I met with Strano over reading week for a tour. Descending a narrow staircase into the dark, hot, and dusty basement of the South Borden Building, I surveyed the shop and the books that filled it, stacked in piles, on bookshelves, and in blue bins. Novels, non-fiction, biographies, textbooks — the little-known shop had just about every type of book. It’s a good deal for books, at $1 for as many as you can carry, but it’s open to U of T students just once a week, and for only two hours. Books that are not picked up from the shop are recycled. It’s a shame to throw books away, Strano said, but he simply doesn’t have the resources to do otherwise. I was disappointed with what my tour had revealed. Sending books to recycling centres is only marginally better than sending them to landfills. At the end of the day, they are still destroyed, and others, especially those who can’t afford new books, are deprived of the opportunity of reading them. Throwing books away is not just careless — it runs contrary to everything a university is meant to represent. Calling it waste diversion only adds insult to injury. U of T founded an entire office dedicated to this ‘culture’ in 2004. The Sustainability Office wrote in an email that the school has systems in place to reuse excess books, and that book sale organizers are encouraged to donate books to local organizations. Yet, when I asked for details about these systems, the response only noted that the libraries exchange books within their internal network. The fact that hundreds of books have already ended up in the blue bin tells us that whatever systems U of T does have in place appear to be inadequate. While it’s important to encourage sustainability, without concrete policy there is nothing to prevent every book sale organizer or library from throwing away perfectly good books. The structural issues at U of T that allow for books to end up in blue bins need to be addressed. If the Swap Shop is to be a practical solution to the issue of excess books, it needs to be advertised more, and open for more than two hours a week. The university should implement a policy requiring unwanted books to be donated or offered to students in high-traffic areas, instead of recycled. A lack of tangible university policy is precisely why the actions of students like Bitsakakis, Greenberg, Medd, Singh, and Stark are so important. Not only did they find new homes for close to 1,000 books, they exposed a notable discrepancy between the university’s green image and the reality of its practices. Now, the students are looking to start a club devoted to ensuring that all books in good condition stay out of the recycling bin. These actions will hopefully have a profound impact, not only in saving hundreds of books, but in showing the university how important books are to students — and compelling change in its practices. It’s a warm and sunny Sunday mid-afternoon. The soca is bumping and the scents of beef and masala patties fill the air. Friends both old and new acquaint themselves through hugs and handshakes as the bustling chatter grows louder. We’ve all gathered in eager anticipation of the guest of honour: Walied Khogali Ali. When Khogali arrives at the scene — the backyard of his campaign office on Carlton Street near Regent Park — he grabs hold of a microphone to address his supporters. My eyes scan the scene before me, registering both the sight of an impassioned man delivering a gracious, heartfelt rallying cry, as well as the hopeful, inspired, and attentive expressions plastered upon the faces of audience members. In what feels more like a block party than anything political, I realize that Khogali’s campaign is the product of an entire community, here to celebrate and support a young man they’ve seen grow before their eyes. The UTM alum has been working hard on his bid for City Council in Ward 13 Toronto Centre. Between Khogali’s optimism, gratitude, charisma, and vision, it is difficult not to rally behind this man with a plan for Toronto. Khogali is originally from Sudan and has been a fixture in Regent Park ever since he and his family settled in the community in 2005. As one of seven kids, he never misses the opportunity to gush about his family. His mom often accompanies him to functions, ensuring that energetic, young volunteers never leave the office with empty stomachs. Khogali evidently has strong familial and community ties, which have informed a decorated record of service and leadership all centred around critical social justice and human rights issues in our city. He’s fearless in fighting back for those he cares about. For instance, he co-founded the Coalition Against White Supremacy and Islamophobia, a cohort of some 170 organizations dedicated to anti-racism work. He’s been a leader in environmental justice and student movements, serving as president of the Toronto Environmental Alliance and Executive Director of the UTM Students’ Union. He also co-founded TTCriders, a transit advocacy group. And he has held key positions in the Toronto and York Regional Labour Council and the city’s Labour Community Services, and worked to support underserved Toronto communities with United Way. Impressively, though he is a young politician, he’s not one to rest on his laurels. I can think of no better figure than Khogali who symbolizes the strength, resilience, and perseverance that Toronto desperately needs to weather a stormy political climate. Indeed, currently elected officials — including Mayor John Tory and councillor Giorgio Mammoliti — have made questionable comments about young Black men, labelling them as “sewer rats,” “cockroaches,” and “thugs” in discussions regarding violence citywide and social housing tenancy in Jane and Finch. Such hateful rhetoric often gets swept under the rug. However, what is perhaps even more dangerous about all this is that it also emboldens other, more opportunistic politicians to capitalize on a narrative of violence, perpetuating their own hateful rhetoric while dressing it up as an innovative solution or ‘safety’ initiative. For instance, Toronto’s most infamous mayoral candidate is a white nationalist whose campaign to “Make Toronto Safe Again” revolves around the view that refugees and Muslims are threats. It is difficult to imagine how pushing out some of Toronto’s most vulnerable, marginalized communities that are fleeing conflict and persecution would make the city safer. I urge fellow students and all Torontonians to consider sensationalist figures like the aforementioned a serious threat. These kinds of candidates are not standalone; they are woven into the fabric of even the province at large. After all, Premier Doug Ford had initially declined to address the photos he has posed for with the aforementioned white nationalist. Recall that it was Ford himself who was going to attempt to override the Charter, all to arbitrarily reduce the size of Toronto’s city council just weeks before the election. This has seriously compromised the ability of newcomer candidates from racialized communities to enter municipal politics. It is clear that the politics around us is steeped in racism. Despite such a negative political climate in Toronto, I still hold out hope for a brighter future because of leaders like Khogali who symbolize resistance. I believe that he can keep these regressive politicians in check. He has already publicly confronted Ford about the possible restoration of Toronto Anti-Violence Intervention Strategy — a “racist police division,” which was ineffective and known for its use of carding, the stopping and questioning of individuals when no particular offence is being investigated — at a Somali-Canadian forum earlier this year. Khogali shared that the program actually “traumatized” many racialized youth with whom he had spoken. Many other concerned audience members applauded the response. Indeed, Khogali’s work as a mentor and role model for racialized, newcomer, and other marginalized youth from his own community are what all leaders should aspire to become. It provides an opportunity to challenge the dynamics in the status quo. After all, the youth of this city have so many challenges to overcome. Between the threats of violence, the impossibility of home ownership in a skyrocketing real estate market, and questionable government cuts to essential programs, we need young leaders who are focused on making our youth confident in their futures and proud to call Toronto home. We can see proof in the solutions that Khogali has proposed for issues that affect racialized youth. Rather than cut essential programs and beef up the police, as Ford desires, Khogali is focused on investment. He wants to ensure that youth have options for postsecondary education, access to programs in which they can develop leadership skills and civic engagement, and opportunities for recreational programs to build life skills, like swimming. These positive changes would represent the first step toward a safer and more productive Toronto. Khogali’s commitment to anti-racism, among many other reasons, is why he is the perfect choice for the council selection in Ward 13. The ward — including Regent Park, Cabbagetown, and St. James Town — has 19 candidates who are all vying to represent a population of around 100,000. Unlike some others, though, Khogali is not a career politician — he’s a grassroots activist and organizer, who has tirelessly dedicated years of his life to community-led initiatives meant to affect change. He has no money to spend on YouTube ads, hundreds of lawn signs, or cash incentives for prospective voters. His campaign has been fuelled by the generous support of his community, which has come together to stand and fight alongside him. Khogali stands out because of his progressive platform, which includes affordable housing and transit, commitment to poverty eradication through familial support and job creation, and inclusive and hate-free community building. It is not built on empty promises. 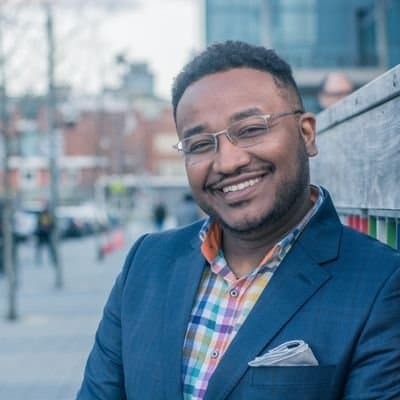 From implementing the province’s first U-Pass program in his UTM days to organizing a national day of action in February 2017 in response to Trump’s Muslim ban, he has a history of fighting for important causes. For the youth, for the marginalized, and for the future — I’m with Walied Khogali Ali. Jaime McLaughlin is a third-year History and Political Science student at University College. This year, contributors are encouraged to make the best of both news reporting and opinion writing through the new subsection of comment reports. These are full-page, opinion feature pieces that provide an in-depth investigation into issues that matter for the U of T community. Not only can contributors cover original stories and conduct interviews, as reporters are expected to do, but they will offer a layer of analysis and slant that makes their bias clear to the reader. This year, you might see comment reports in a variety of forms, such as profiles of public figures, a breakdown of highly salient controversies, or a deep dive into a question that’s on everyone’s mind. In this week’s section, you will see two comment report profiles on candidates in the Toronto municipal elections. While they are both young U of T alumni, their political trajectories could not be further: one is a progressive committed to anti-racism, who hopes to be a city councillor; the other is a fringe white nationalist candidate, who is running for mayor. Perhaps this is a stark reminder that, despite the formative years that we share at U of T together, the characters that we become may be radically divergent, to say the least.